Once you have finished identifying a suitable drop ship supplier, it’s now time to get to the nitty-gritty of the business itself. You will realize that most of your startup costs will be associated with the legal requirements such as applying for an ACN (Australian Company Number) or ABN (Australian Business Number). The Australian Business Register (ABR) does not charge any fee when you apply for an ABN, regardless of whether you apply online or through physical means. But, if you consult a tax agent to complete an application form you (which is usually recommended to avoid delays and unnecessary returns), they are bound to charge you a fee for their services. Your tax agent will also help you prepare any tax-related documents for you. 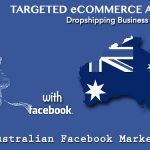 Drop shipping in Australia is booming, so the benefits of jumping on this band wagon are great considering the small outlay required to get started. Overall, it’s possible to start a drop shipping business in Australia with as little as $400 or maybe even less. 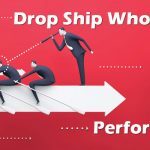 Will My Drop shipper Deal With My Customers On My Behalf? shipped goods. 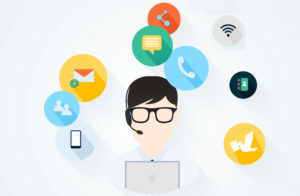 To do this effectively, you will need to build a good eCommerce website to help you handle customer support issues and solve any problems that might arise. Your website can also act as your chief payment gateway where your customers can pay through your shopping cart. The website software that you use to build your online store does matter, you want to get this right from the start because if you don’t, your business will suffer unmanageable losses when its time to upgrade to expansion of your business. If you are unsure on how to setup your site, talk to the experts that do this all the time, we recommend DropShip Carts -eCommerce Website Development Services. How Will I Place Orders to Suppliers? The method that you will use to place your orders will depend on your dropship supplier. Most suppliers accept orders via email, though some do not. Those with fully-fledged eCommerce sites accept orders online. Some sophisticated suppliers might even allow you to submit your bulk orders via formatted CSV or XML files. What Is The Average Turnaround Time For Fulfilling An Order? The turnaround time for your orders will depend on your supplier and where they are located. Many high quality suppliers are able to process, pack and ship out orders the same day they are placed by noon their local time. How Do I Receive Tracking Information For My Orders? The method you use to receive tracking information for your orders will vary from one supplier to another. Many quality drop shippers provide tracking information via plain text or formatted .XML and .CSV files. Your tracking information is usually sent to you immediately the shipment is processed or latest by the end of the day when your order was shipped. Once you receive a tracking number from the drop shipper, it’s your responsibility to give it to your customer, something you can easily do through your shopping cart interface. Some suppliers require you to login to their website to retrieve your tracking numbers, which is generally a sign of a poor quality drop shipper. When you are just getting started, your drop shipper will usually require you to have a credit card to pay for your orders. Most international drop shippers will accept Visa or MasterCard. If the drop shipper is based in Australia, they might also accept credit cards issued by the four major Australian Banks namely ANZ Bank, Westpac, Commonwealth and NAB. In some cases, drop shippers allow the payment via PayPal, however this attracts a fee which is borne by the supplying party, therefore can be refused. Once you build a steady relationship with your supplier, they might offer you ‘Net 15’ or ‘Net 30’ terms, meaning they will allow you to pay 15 days or 30 days after date of shipment, usually by cheque. But, it’s usually a better idea to pay through your credit card even if your supplier offers you ‘Net’ terms. Paying through credit cards is more convenient since you don’t have to mail any checks plus of course you can rack up serious reward points on your credit card, maybe enough to pay for a trip around the world! The supplier will usually pay the shipping costs then include the cost when billing you for your order. It’s up to you to decide how much of the shipping charges you will pass on to your customers. Will My Orders Have My Company’s Identity? 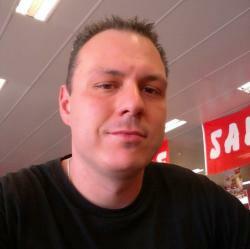 Sure, that is one of the beauties of the drop shipping model. Most drop shippers will readily agree to place your company’s name and logo on the packing slips and even the invoices. When your customers receive the shipment, it will appear as if it came directly from your company. How Will Returns From My Customers Be Handled? Most dropshippers have restrictions regarding what can or cannot be returned. You therefore need to make sure there is clear communication between you and supplier about their policy regarding customer returns. Most suppliers issue you with a Return Authorization (RA) number. This is a unique number that helps to identify the returned product. Once you receive the RA number, you should pass it to your customer together with the address of the warehouse. Once the supplier receives the returned product, they will send you a notification along with a credit invoice indicating that they have credited you for the item. Now you can refund your customer for the returned item. The party responsible for paying for return shipping will depend on the agreement you have with the supplier. Some business people reason that since it is not their fault that the item was returned, the customer should foot the shipping bill since customers understand the risks associated with such purchases anyway. But, going down that road is practicing poor business ethics. Telling the customer to pay for the shipment of a defective product is actually unethical since it’s not their fault in the first place, and is bound to leave a very bad taste in their mouth. Instead of risking or damaging a business relationship with your customers over something like paying for returned products, the best thing to do is pay for the cost yourself. If the product being returned is of very low value ($20 or less), you can just let the customer keep the defective product then ship them a free replacement. This way you will not only save on return shipping costs, but will build goodwill with your customers and who knows, next time they might place a much bigger order, maybe one worth $200 or even $2,000! If a product is genuinely defective, most drop shippers willingly admit their liability and pay for the shipping costs of sending a new item to the customer. In this case, you will only have to cover the cost of shipping the returned product from the customer to the supplier’s warehouse. For non-defective items, the story is a bit different. A customer might decide to return a product because they changed their mind or maybe they made the wrong selection. In such cases, the customer is responsible for covering the shipping costs for the returned product. In some cases, however, the customer might have made the wrong selection because the product was advertised wrongly on your website. In such cases, you should pay the cost of returning the product to the supplier and shipping a new product to the customer. Do Drop Shippers Ship Internationally? About 50% of drop shippers handle international shipments. The reason why so many avoid it is because of the complex logistics involved in international shipments. First off, international shipping costs are usually considerably more expensive than local ones. These shipments also require a lot more paperwork and take more time to process. Drop shippers who make international shipments usually charge an extra fee for the service. In saying that, the advantages of setting up a trading relationship with an international drop shipper are that in most cases the products are supplied a lot cheaper. This of course means that you’re able to make a greater profit margin on the products you resell. 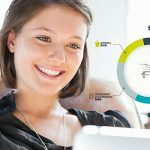 Another advantage is that you’re supplying unique products that may not be available in Australia, giving you enough exclusivity on these products that you can pretty much charge as much as you want. People are more likely to buy local and yes they will pay more for it. The same goes for Australians using wholesalers and drop ship suppliers in other countries to sell internationally or even exporting Australian goods overseas. 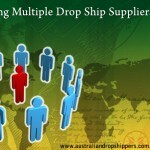 Check out this Drop Shipping Guide To Selling Outside Of Australia. Getting started with a drop shipping business can be a little challenging since there is usually quite a steep learning curve to negotiate. But, once you learn the ropes, it can be worth all the time, money and energy you put into it.